As most men, and many women, will know, over the last decade or more the ubiquitous disposable razor head has just kept increasing the blade count. This supposedly produces an excellent close shave but even if that is taken as a given there are a number of problems, for instance the blades are expensive and at least for me practically require a pressure hose to clean, during and between shaves. At home, I’d find myself putting my thumb on the tap to force the pressure to be high enough. One holiday, a few years ago, with the predictable low pressure on the taps I decided there had to be a better way. So I thought I’d go for the opposite extreme. One, very sharp, non disposable blade – the “cut throat” or “straight edge” razor. At the time I got some good advice from my friend Ricky Craig who had gone down this route, and such advice is really useful. This article is intended to serve as an introduction for anyone interested in going that route but who isn’t sure where to start. A lot of people will tell you this form of shaving is cheaper. It certainly can be, but there is an initial outlay and personally I buy better stuff, much less frequently. It’s possible I have recouped my investment by now, but my point is a switch will probably be cost neutral. Cleaning a straight edge during and between shaves is a doddle. There are no more clogged blade heads. You just have to make sure you are gentle with the edge of the blade, and if cleaning it with your fingers obviously move them towards the edge so as not to be cut. Shaving several days, weeks or months growth is easy with a straight edge. I personally found that skipping a shave at a weekend would lead to a very uncomfortable shave and a blade head so clogged it needed to be discarded. A straight edge just needed washed off more often, so paradoxically makes it easier to be lazy for a few days. (Note, I do not recommend your first straight edge shave be with more than a day’s growth). You can get a much closer shave from a straight edge, especially if you do multiple passes. I tend to do two passes, one downwards and one across. I do a third pass upwards on rare occasions – I wouldn’t recommend this till you are very comfortable with the other directions. A single pass will still do a good job. You use much less consumable product – no more packs of blades, much less foam and goo. You can afford to treat yourself to much better quality stuff, and you generally go months between needing to buy more stuff. Mornings are often frenetic but this kind of shaving demands attention. However short it provides a nice Zen like moment in the day. 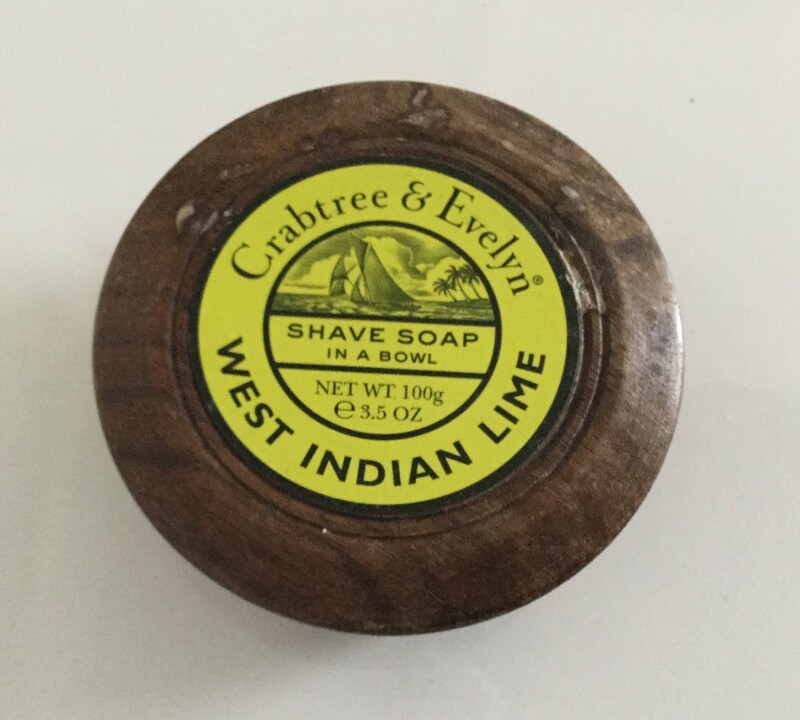 You can enjoy some unique one of a kind items as part of your daily shaving routine. It’s not just quite as dull as shaving usually is. This one might be just me, but working with blades in Iaido means that the blade and it’s care and maintenance is interesting. Initially shaving is likely to be a lot slower. It takes quite a bit of practice to be fully comfortable and you should never be complacent. It probably takes a few months to really get it all sorted out. Most shaves will be good faster than that, but you may well have some better and worse shaves till you reach consistency. Goatees may be so common because they mean you don’t have to shave some of the most difficult areas, under your nose, the edges of your lips, the bottom of the chin at the jawline. You will have to learn how to tackle these areas again for a reliably close shave. You may, especially in the early months, misjudge it and the razor taps your skin and a line, quite similar to the kind of scratch a cat might inflict will appear. You may also occasionally start a bleed on a spot or similar. Some of these things happen with other razors too. It’s harder to buy supplies in the average chemist, even a good shaving brush can be hard to find. But you need supplies so infrequently that this isn’t such a problem. Periodically you will have to sharpen the razor or have someone else do it. I sharpen my own every six months but others will do it for you. You have to treat the razor carefully, both because it is easily damaged and is a dangerous item. The most important advice is that you should always be focused when using the razor. Picking it up, opening it, shaving, setting it down, cleaning it, drying it, putting it away. Sloppiness will be punished, obviously. And the razor is fragile, a dumb accident like bashing the blade off a tap when washing it could damage it a bit or chip the blade. On the other hand, don’t be too gentle when cleaning and drying it, make sure it is bone dry before putting it away, if your razor is proper carbon steel and not stainless. And of course it is, right? What you need. Where to get it. Part of the fun of this approach is that it is very individual. You should do your own research and buy a razor that pleases you in both a practical and aesthetic way for instance, but I indicate where I got things below as a starting point. I got mine on-line from the Invisible Edge. There’s good advice on the site about the kind of razor you might want. You can buy vintage and old razors, but I’m not really sure that’s a great choice for your “first” razor – at least if you don’t trust its source to ensure it is properly sharp and well maintained. It’s a clichÃ©, but a dull razor is uncomfortable at best and dangerous as well. I got a strop that was able to travel with me easily. 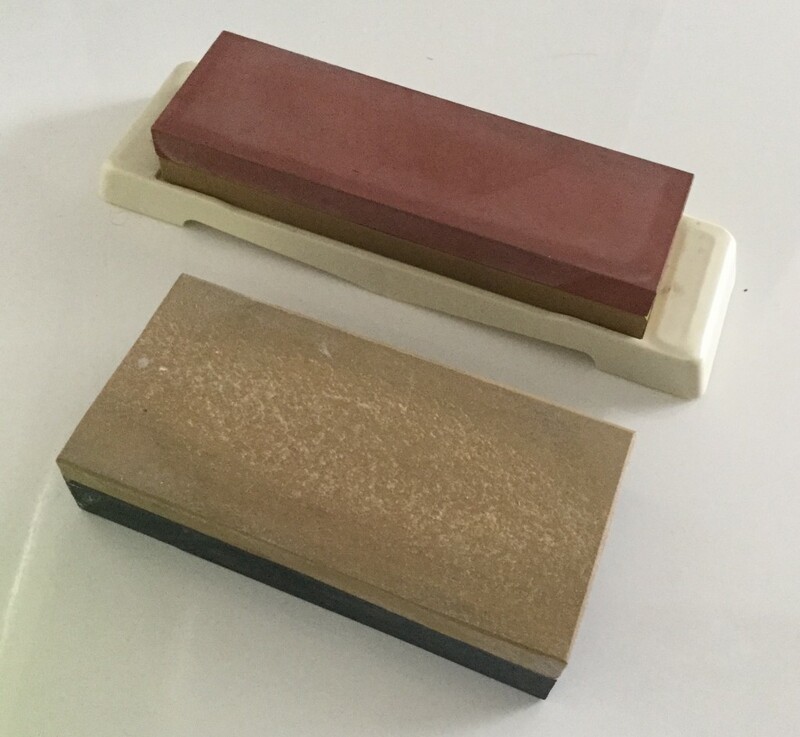 A strop is used to refined the very edge of the blade. There seems to be a lot of babble about this and general quackery but I do find that not stropping the razor can lead to an uncomfortable shave, though nowadays I don’t strop the razor every time and it seems fine. 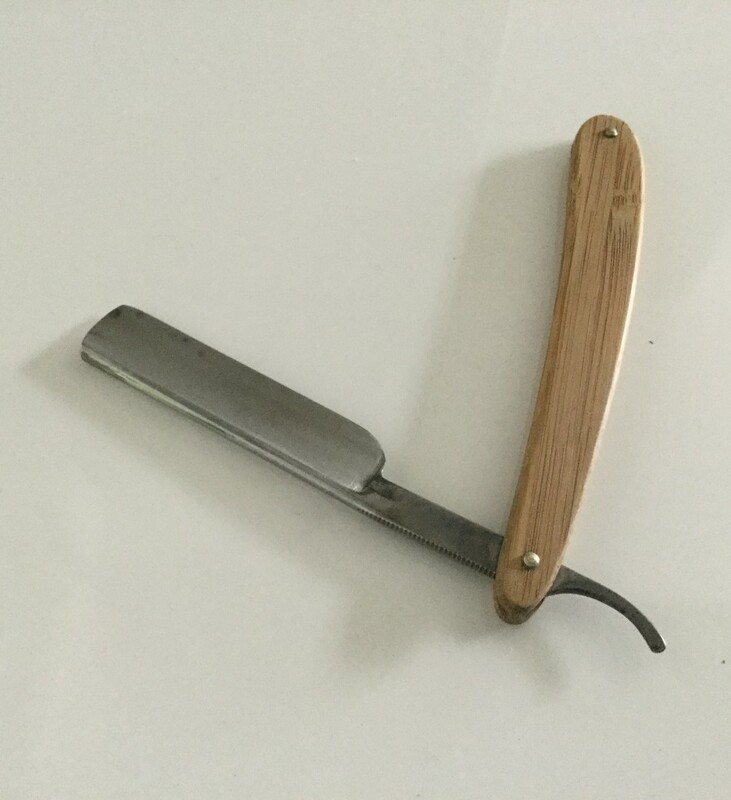 I got mine from the Strop Shop, great service and nice one of a kind goods that is one of the joys of this kind of shaving. Once again it’s best to buy something nice quality that will last. It’s hard to pick up even a decent shaving brush on the high street. I’m pretty sure I bought mine from Amazon. This is your one big continuing outlay, so personally I think it’s worth treating yourself to something nice and good quality you will enjoy. I have found that the creams are easier to make a nice soft lather with but the “dish” type soaps last a lot longer. I get stuff from Crabtree and Evelyn, expensive but great quality, nice to shave with and lasts months. As my friend Simon Slater pointed out after I first posted this article, it can be a good idea to buy something to stop any bleeds – actually however you shave I guess. I did buy a styptic pencil, but found it not fully effective at its job – it eventually fell apart from getting too wet and I haven’t bothered with anything else since, but your mileage may vary. A cheap alum block or styptic pencil is well worth trying. Optional extras abound, but mostly seem gimmicky and I’ve never needed them.Â There’s a surprising amount of pseudo scientific babble about all of this. I have bought hones to sharpen my razor which I do about every six months.Â I bought my hone from the Strop Shop again. 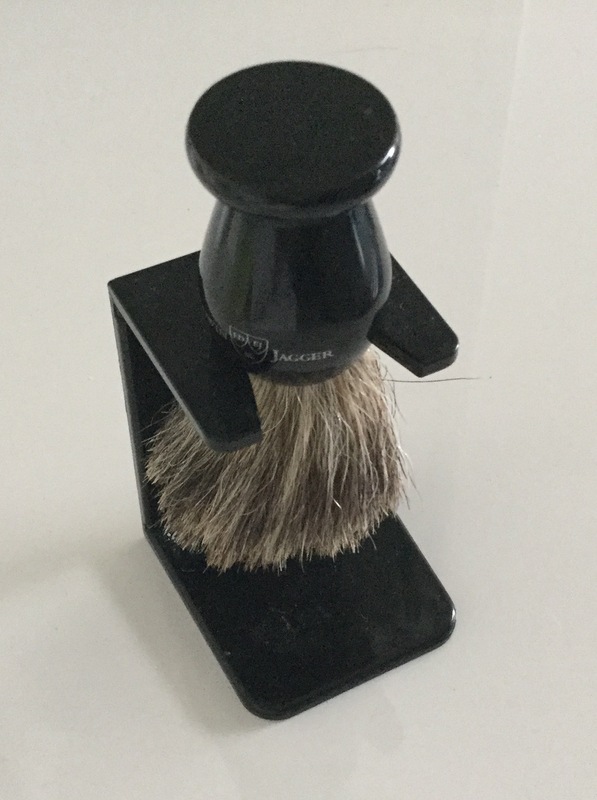 Well actually I bought a cheap generic hone from Amazon for high grit, and this beautiful hone which is a piece of art in its own right for the fine work: this one is made of Welsh slate and a finer stone bonded together, but lots of people seem to send their razors away to be sharpened once in a while. If you are careless with the razor and chip it you may need to use a hone to work that out. If you want to take a step away from dozens of cheap plastic razors every year, and mountains of expensive but nasty shaving foam and gloop this is worth a go. It leads to a nice meditative experience first thing in the morning with non-disposal quality items you can enjoy.